Google rolled out Android Q‘s first beta version for all Pixel phones last night. I’ve installed it on my Pixel 3 XL, and found some really neat features. One of the best new additions is how easy it is to share your WiFi settings. Every time a friend visits your home, you have to tell them your WiFi password. Not anymore. 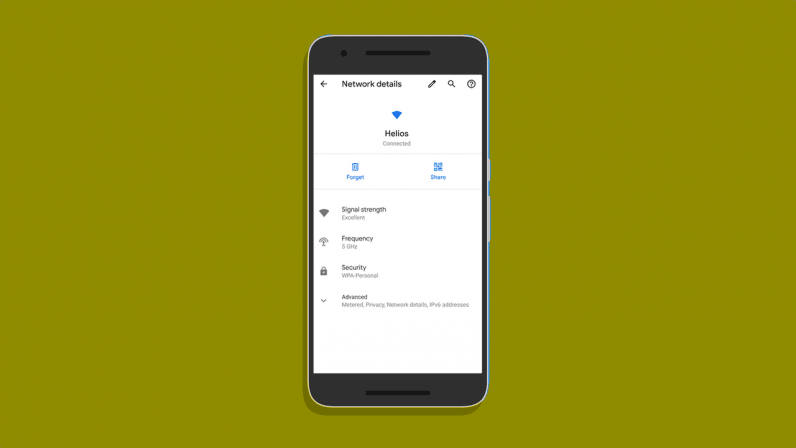 Android Q gives you a handy option to share your WiFi connection details through a QR code. Your friend can then quickly scan the code, and boom – they’re connected to your router. To do that, head to Settings > Network & internet > WiFi and click on the connection name you want to share. As shown in the screenshot below, you’ll be able to share the details through a QR code, once you authenticate the process via your registered fingerprint on the device. Similarly, you can join a WiFi connection by scanning a QR code as well. Head to Settings > Network & internet > WiFi, and scroll down to Add Network, and click on the icon on the right-hand side to scan a QR code. I think this is a brilliant feature, and you won’t ever have to share your WiFi password with others. And can’t wait till this is rolled out to every phone out there.